Jeff was born in San Bernardino California. He didn’t live there long as his parents soon moved to Lakewood, Colorado, a suburb west of Denver, being where he spent most of his life. Before sports, cars and girls came into play, Jeff would spend his summers in a small town in Eastern Colorado with his grandparents. He graduated from Alameda High school, where he had vo-tech training in welding. He spent much of his High School summers at Drag Strips. The Denver area was great for that. He had a number of opportunities to be around professional teams. He learned a lot, and of course, had a blast. Jeff worked in a number of different jobs in construction, auto body and welding. He found himself working for a Saturn Dealership, and there he started as a basic entry level driver for the business office and worked his way into management of the Service Department. After 14 years, he ended up bouncing between a number of different automotive groups until he moved to Goodland, Kansas. A rural farm community. Then he worked at a prison for just over a year and then began working in Law Enforcement in Sherman County Kansas. He started in an entry level position as a Detention Deputy with the Sherman County Sheriff’s Office, then three years with Goodland Police Department and back at Sherman County Sheriff’s Office where he worked as a patrol deputy. He now specializes in any crime that involves physical harm to a person. Jeff is married with two children. His wife is Susan, very supportive of everything he does, his son Corey and daughter Grace. Corey just finished six years in the Navy and are now attending film school at the Colorado school of Art. Jeff’s other true hobby is old cars and trucks. His modeling began when he was 4 or 5. His Dad would cut the parts off the sprues and he would put the glue on the parts. Then Jeff would then put the parts together and his Dad would do the spray painting. He would bug his Dad to put some model kits together that he got as presents. One day, when he was six, his father told him he could do it alone. That day, after he put down some new paper on the kitchen table, Jeff built an F-4 Phantom II. He’s been building ever since. Around that time Jeff and his Grandfather started an HO scale railroad layout in the basement. Jeff’s Dad doesn’t really like to build models that much. He says he couldn’t stand all the little parts. His Grandfather always liked seeing everything Jeff built and along the way, he would ask lots of questions about the subject Jeff was modeling. He learned to know about what he was building because of that. After his Grandfather passed away, Jeff’s Dad gave him some of the models he had built when his Dad was a child. They are wonderful keepsakes as they are made of paper, wood and plastic. On weekends growing up, if Jeff was not playing sports he built models. When he earned money, he would spend it at hobby shops. As he grew older, he started to compete at local model shows at the age of twelve. At those first contests Jeff attended, the IPMS chapters did something he had never seen before. The chapter would set up tables in a rectangle, and there were people demonstrating building models. They would answer Jeff’s questions. That first show made a big impression on him. 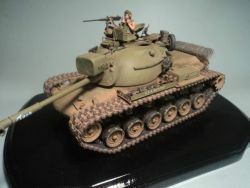 His first model tank was the Monogram M48 and it came with the Shepard Paine insert. He says his goal then became to be able to build like Shep! I don’t think Jeff was alone in that goal! At the end his freshman year, a teacher discovered Jeff was dyslexic. He ended up having to take extra classes to learn how live with it. One of the ways they retaught him how to read was with model kit instructions. He was fifteen before he knew there were part numbers on the sprues and instructions. None of that was a negative as it got him into reading history. From that point on, He could finally start giving his Grandfather correct answers to his questions about his model subjects. In his mid-twenties, he joined a couple of local IPMS chapters in Denver. That’s where he met Tony Englehart who ran AEF Designs. Tony asked if he would work part time on some Saturdays for him. Jeff ended up learning how to make molds for resin casting and the most important part of that experience, was learning how to scratch build. He did some masters for AEF. He would rebuild masters for Tony adding more and improved detail. Jeff did that for fifteen – sixteen years. Tony is the one who pushed him to attend regional and national competitions. Jeff has kept almost all the models he has built until recently. It helped having them to compare and gauge his improvement. Jeff still has the very first model he ever built by himself, an F4 Phantom with a shark mouth. It still is one of his most prized models to this day. His goal remains to improve with every model he builds. Jeff hopes he can inspire modelers who are less capable, as well as continue to be inspired by those with greater skills. Jeff encourages modelers to get out and go to competitions, meet people and exchange ideas and experiences. Jeff and I have several things in common, Law Enforcement, white goatees and our fathers started us out at a very young age and we have both known Tony Englehart for many years! I am proud to introduce Jeff Riedesel , (Sherman 18) as a new member of the Master’s Forum! "Warren is a Marine Biologist living in Nova Scotia, Canada. Most of his time is spent researching various species of shark off the east coast, a passion he has had since the age of 5 (he decided he was going to work with dinosaurs or sharks when he grew up, sharks won out in the end)! When not playing with his toothy friends, his time is mostly occupied with his family, his wife Ann and two wonderful young daughters, Beth and Gwen. Somehow, he manages to fit some time in at the bench in his busy life! Warren first started modelling when he was 7, with a long forgotten kit his father brought home. He modelled just about any kit he could get his hands on back then, but was mainly focused on automobiles. At about the age of 14, the modelling bug left him in favour of other activities and he sold off all his equipment, built and unbuilt kits. Then after a long hiatus of 19 years, his wife encouraged him to get back into the hobby. He began with a 1/48 Revell P-38, researched it and brush painted it. From that kit he started to take an interest in flying boats and float planes and was hooked again. Starting out more slowly this time around, he began leaning techniques he didn’t have as a kid, trolling some of the online forums in the background for a couple years to see what others were doing before having the courage to post a build online, an all resin kit of all things (Choroszy Modelbud 1/48 Type 91 E6Y1 float plane). He began to try some new techniques, bought a new airbrush and started to experiment with some scratch building (on a minor scale). In the fall of 2012, he joined MA. After attending a couple local hobby shows as a spectator he finally decided to enter a build in 2015, a 1/48 Revell PBY in RDAF scheme, and to his surprise, took first place in the category! He has since been entering builds in local competitions and picked up another first and two third place medals in 2016 and 2017. 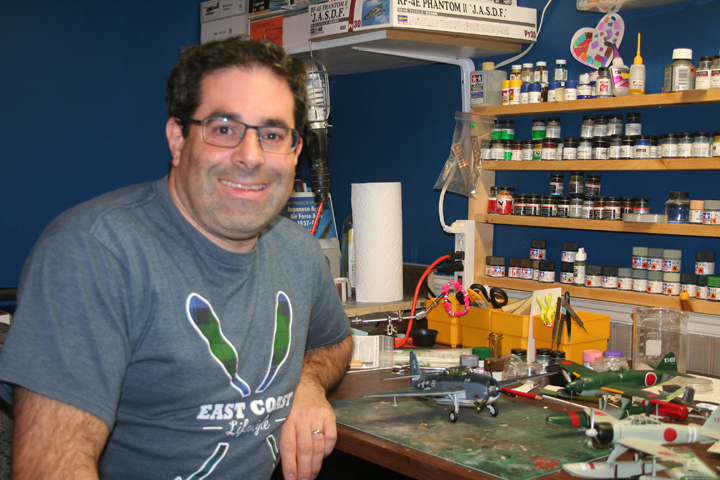 His favourite scale to build in is 1/48 and floatplanes and flying boats are the subject he likes best. Japanese aircraft, torpedo bombers and anything else out of the ordinary follow in a close second. He does like to mix things up sometimes with a few “what if” builds. 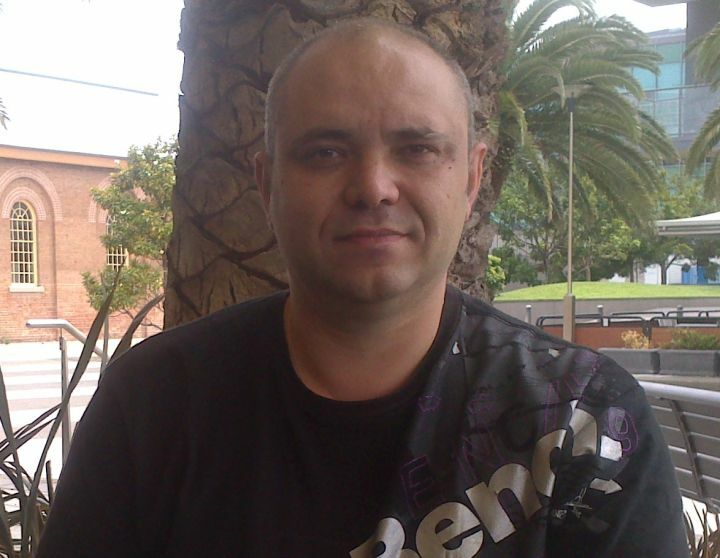 I am proud to introduce Warren Joyce as a new member of the Master’s Forum!